President Trump would not confirm nor deny speculation that former New Jersey Gov. Chris Christie could replace Jeff Sessions as new attorney general. But two top police union heads in New Jersey say that would be a "terrible decision." Brian Thompson reports. Former New Jersey Governor Chris Christie is at the White House and is being considered to replace Jeff Sessions as attorney general, two people familiar with the matter told NBC News. Sessions submitted a resignation letter on Wednesday "at the request" of President Donald Trump, according to the letter. 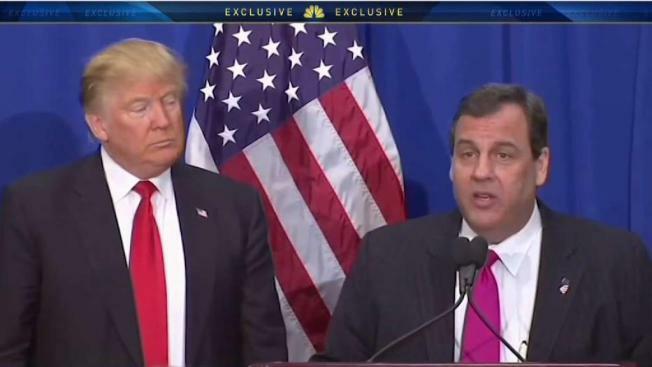 There is no indication that Christie is a front-runner for the position.